After preparing a large body of work in studios in Krefeld, Mönchengladbach/Germany and Vienna/Austria and extensive traveling in Europe, the relocation in 1987 to New York was also where i first wanted to exhibit these works: initially at the Ronald Feldman Gallery in 1988, followed in the same year by the Anderson Gallery, Museum of the University of Virginia. Since then the often large-scale Installations were shown in numerous Solo and Group Exhibitions in Museums in the United States and in Europe, as the 20th Century, one-hundred Years of Art in Germany at the National Museum in Berlin 1999/2000, the Joseph Haubrich Kunsthalle in 1989, Cologne/Germany, and among others the Museum Schloss Morsbroich, Leverkusen, Germany in 2001. Frequent gallery exhibitions and representations since 1988 are with the Ronald Feldman Gallery in New York and galleries in Mönchengladbach, Cologne, Berlin, Friedrichshafen and Gelsenkirchen. The sculptures, constructions and installations and objects can be seen as explorations, articulation and expressions of complex structures or issues; segments of these installations contain often countless individual drawings, writings,objects, sculptures and other art-works. Glass as the means of construction creates the visual language and atmosphere that unifies all these disparate objects. There is a large body of theoretical writings at the core of what can be considered a 'Gesamtkunstwerk', dispersed within sculptures and installations, -these writings at the intersection of Logic, Philosophy, Science and Art were done primarily in the years 1974-1984. In the same years some 'endless' drawing series alternated and inter-acted with these hand-written theoretical texts, and the constructed transparent objects creating the visual atmosphere around these writings. They, with all the visual works that follow them, -can be described as a 'diagnostic cycle' of the structure and logic of all our ideas and concepts, as well as all their manifestations within the human evolution into the present state. The Sculpture Regarding Non-Proliferation of Atomic Weapon was , besides been the first public commission, also a attempt to create a public sculpture that rises beyond been just of symbolic relevance, and to find a adequate expression of our Information Age. This sculpture was a official present of the Federal German Republic 1996 to the United Nations in Geneva, Switzerland on occasion of the treaty on ending nuclear testing. This sculpture contains 42 of the most crucial texts and information of the Nuclear Age from its dawn and up to 1995, the year of the final review conference of the Nuclear Test-ban Treaty at the United Nations in New York, -including all International Nuclear Treaties, technical reports, previously secret military studies, and the speech by the artist given to the delegations to the Nuclear Disarmament Conference. Also in 1996, G.L.A.S.S.. a theatrical construction, a exhibition + performance was another Experiment to bring to life the various contents of all those densely filled installations: a exhibition that turns seamless into a performance.. This theater-performance in collaboration with the PrinzRegenten Theater based on the artwork of Clemens Weiss was performed first in Bochum/Germany, then traveled to other art spaces and theater festivals, -with the objects from the performances finding their way in the end into various Art Collections . 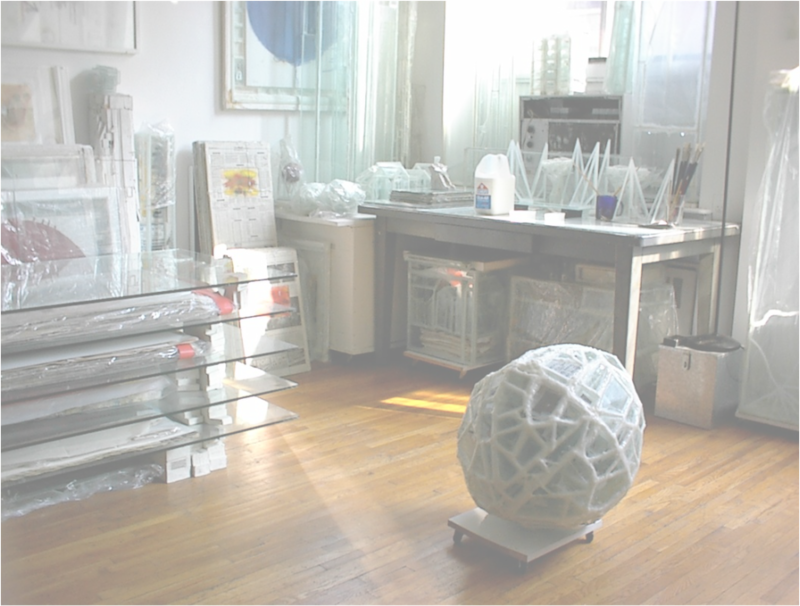 Some other projects as the Curator of larger transatlantic Art Projects developed out of studios and constant acivities simultaneously in both the United States and Europe. Examples are the New York Edition 1991 of the Juni Verlag in Mönchengladbach/Germany, -a selection of 18 New York Artist for a traveling Exhibition in Germany, together with an New York Edition and a themed Magazine-book. Realized Artist-Books such as The Complaint of Art (Juni-Verlag 1990) in its German version also became the base for the Theater-Project at Ensemblia 1997 under his direction in Mönchengladbach/Germany, and in a new version in Stolberg + Aachen/Germany in 2011.